Prepare and bake cake mix following package instructions. While cupcakes bake, whisk together sugar and ground cinnamon in a large bowl. Once cupcakes are ready, remove from oven. Gently roll in cinnamon sugar mixture to coat entire cupcake. Place on warming rack and continue process with remaining cupcakes. Allow cupcakes to cool completely. 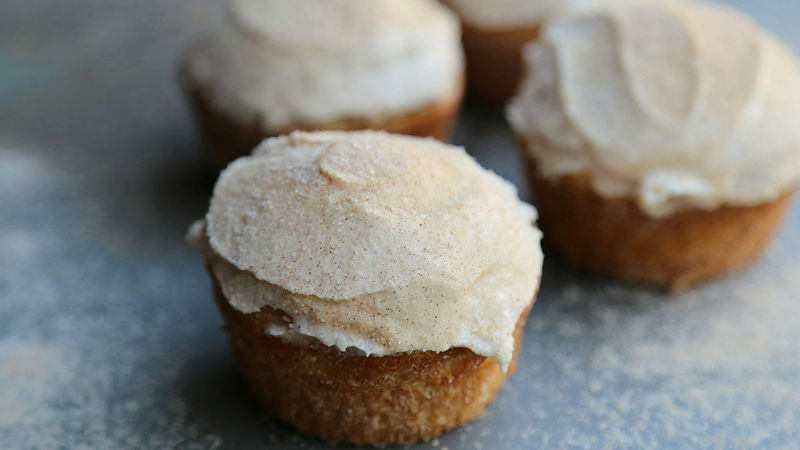 Frost cupcakes with cream cheese frosting and lightly sprinkle each cupcake with remaining cinnamon sugar. Instead of cupcakes, bake as directed for cake and cover entire cake in cinnamon sugar mixture. Frost for a churro cake. Everyone loves churros, but did you know you can bake all that churro goodness into cupcakes? Yes! With the help of Betty Crocker™, you can easily transform a cake mix into churro cupcakes!